Posted on 4/20/2017 by China Martens. 0 Comments. Meet Michael Management instructor Rob Leathem, an SAP certified professional with 17 years’ international ERP experience. 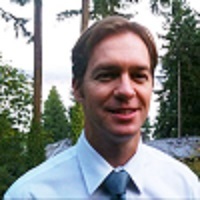 Rob specializes in the SAP Financials & Controlling (FICO) modules. 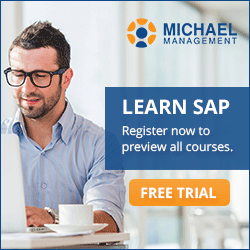 You may already have taken one of the SAP courses Rob created for Michael Management. In his courses, Rob makes use of his SAP career experience which has taken him all over the world and across multiple industries including high-tech, manufacturing and media. Rob became an online SAP instructor earlier this year and has already created 3 online courses so far. In this blog Rob will explain why he decided to become an instructor and how the course creation process works. A good analogy for what we can do together is the publishing industry. You, the SAP training instructor, are the book author and we, MMC, are the publisher. You ‘write’ or create your course once and then we publish and market your course to our thousands of students and share the revenue with you. I asked Rob how he came to be an instructor for MMC. Having created previous financial course content for MMC, Rob was in a perfect position to test out the new, more open MMC learning platform, where instructors can upload their own content, which debuted early in 2017. What does Rob get out of being an MMC instructor? What’s key for all would-be instructors is knowledge of and enthusiasm for their chosen SAP topic along with an engaging presentation style. Instructors must also be able to convey the complexity of SAP technologies in easy-to-understand terms. In other words, no buzzwords! Many would-be SAP instructors think about potential topic choices and how best to structure their SAP training courses. Rob has some great advice on both areas. In terms of what to include (and what to omit) from a course, Rob suggests concentrating on the students’ needs. He cautions that any SAP training course should not be primarily designed to show off the instructor’s own knowledge. Instead, think about what people struggle with the most, where they make the most mistakes, and what tips and tricks can help them succeed with SAP. Create a lesson framework to provide some structure around your topic idea and an argument for why this area of SAP merits its own course. Plan the number of slides, system demos and transactions codes to work out a rough lesson plan and the approximate duration of the course. Present the concept to MMC for course approval. Make sure you do this before working on any detailed content authoring, Rob advises. Record the SAP live demonstrations for each transaction code in the lesson plan. Create the PowerPoint slide content and add in SAP system recorded demos. Also think about developing some kind of handout—for instance, a course summary or cheat sheet—something of tangible benefit to your students. Record the overall course video and audio for each PowerPoint slide and SAP system demos. Submit your course to MMC for review by uploading your video to our training platform. Rob has already created a very successful ‘boot camp’ series of SAP Finance courses and is planning to add additional courses in the near future. Interested in becoming an SAP instructor? You can learn more in our SAP instructor video and then apply as a new SAP Instructor. Not only will you be using your talents to help thousands of people around the world improve their knowledge of SAP but you’ll also receive an ongoing royalty check every month.